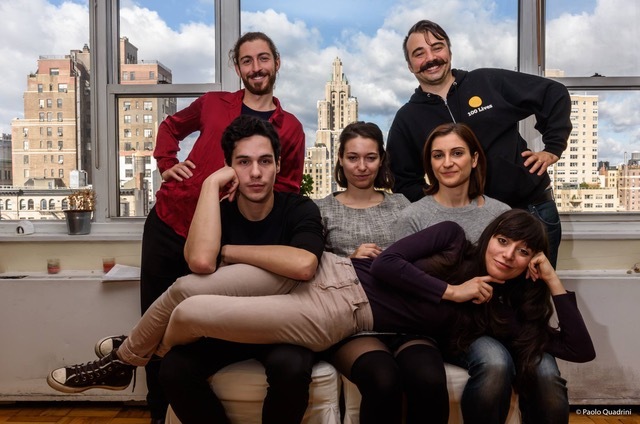 Hailing from New York, Kairos Italy Theater will be performing Niccolò Machiavelli’s satirical play, “La Mandragola” (“The Mandrake”), in the Aula in Ely Hall on Thursday, Nov. 3 at 7 p.m. This event will be free and open to the public. Founded in 2000, Kairos Italy Theater (KIT) works to bridge the physical and cultural gap between Italy and the United States. The performance group has produced over 20 plays and events over the course of its existence, from popular works to never-before-translated plays. KIT has innovated the “Double Theatre Experience,” the performance of a single-act play in English and Italian, each version done by a unique cast. The group has also created an Italian theatre festival called “In Scena,” which spans all five of the New York City boroughs. KIT has been brought to perform at Vassar through the Creative Arts Across Disciplines (CAAD) initiative and Italian Department, as well as through co-sponsorship by the Drama, English, French and Francophone Studies and Philosophy Departments. Nearing its 500th anniversary of being published, “The Mandrake” is constrained to a single day’s timeline, featuring everything from fertility drugs to a wily priest. The play will be presented in its English translation for KIT’s performance at Vassar. KIT’s youth troupe first performed “The Mandrake” in 2013, and its current iteration will be presented by members of the company for Thursday’s performance. To continue the conversation between cultures, Artistic Director of KIT Laura Caparrotti will be visiting classrooms during the performance group’s stay on campus. Among the professors to welcome her to their classrooms is Associate Professor of English Zoltán Márkus, whose freshman writing seminar will be visited by Caparrotti. KIT’s performance of “The Mandrake” will give Vassar a richer taste of what it means to be Italian—from gelato to satirical drama, and everything in between.